Whatever was in this pot died last year in the heat wave and said pot was put in the garden shack at the end of the summmer. It wouldn't be a myoga (Japanese ginger) plant would it? It looks like some sort of lily, like almost a peace lily. You might get more help by posting under the GARDEN forum. 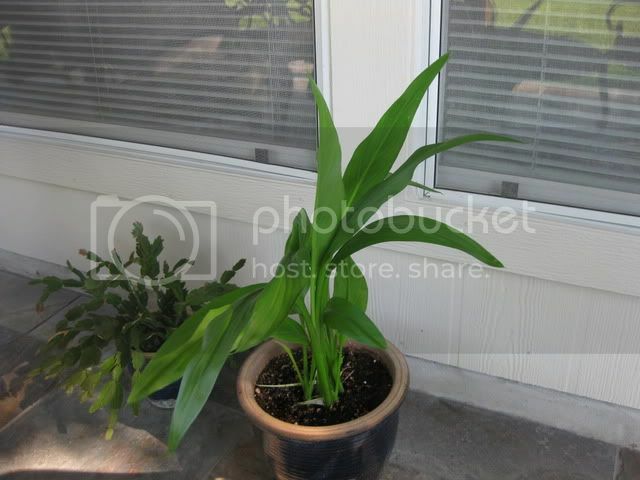 It looks like an aspidistra but they are usually in the ground and don't freeze.